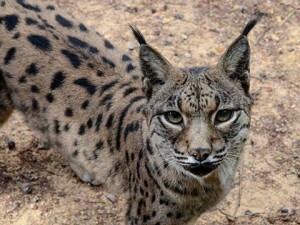 She was discovered in march 2001 by Miguel Delibes in the Coto del Rey are of Doñana National park with three siblings. One was already dead and another in a critical condition. one young healthy cub was taken to the recovery centre at Zoobotánico Jerez. (presumably leaving the other surviving cub with with her mother?) she was named “Hope” because of the possibility of starting a breeding project to help recover the species and was hand reared at the zoo. When she was 5 months old she was moved to the breeding center of Acebuche close to the town of El Rocio in the Doñana National Park. From there the success story continued, she was the second female to breed in captivity and had three litters with a total of 5 cubs. She surprised may due to her excellent maternal behavior despite having beed reared by humans with bottled milk and of course the absence of other individuals of her species. In 2009 she was affected by a chronic kidney disease at an advanced stage , later that year she was also diagnosed with a breast tumor that was removed in June 2010. In November 2010 Hope was retired to Jerez Zoo (one of the breeding centres for the project) as she was no longer viable for the breeding program. For the first time in 2013 the non viable lynx were available for the public to view whilst the viable breeders remained in the off-limits breeding areas. Recently her health deteriorated as a result of old age (she just turned 13) and the last stages of renal failure. Esperanza was moved to a facility away from public viewing and given veterinary care but Yesterday (9th April 2014) and after reaching an advanced state of suffering the decision was made to euthanize her. During the last 13 years, Hope has been one of the most news covered Iberian lynx and has added a lot to the social and educational awareness of the species. She was the first hand reared lynx and and fairly soon her first cub called “Cynara” will give birth to her own first litter. Dating back to 2009 with an incredible 63,000 views why not join in at the Iberian lynx topic at the forum. Click here. Excellent update with the good (and bad) news from Aznalcollar and Doñana Nacional park area on the BBC radio 4 programme “Costing the Earth”. Although ending with a warning for the future as is almost always the case it is good to hear that the clean up from the chemical spill took a relatively short time and nature very quickly bounced back. “When millions of litres of poisonous sludge poured out of a zinc mine in Andalucia in 1998 wildlife was devastated for miles around. As the tidal wave of filth headed for the marshlands of Donana National Park it became a disaster for Europe as well as Spain. The prime route for birds migrating between Africa and Northern Europe seemed certain to be poisoned for decades to come. Sixteen years on from Spain’s worst environmental disaster Julian Rush returns to the region to discover how nature, with a little help, has reclaimed much of the devastated area. The birds have returned and flocks of British birdwatchers are enthusiastically following the Imperial Eagles, Griffon Vultures and millions of birds on their spring migration back to the UK. Laurence Rose of the RSPB shares his memories of the disaster and shows Julian the path of the pollution which has become a lush, green feeding ground for resting birds. 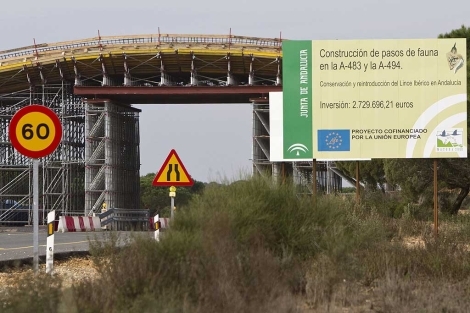 January 27th, 2011	Good short summary of the threats facing Doñana by Wildlife Extra here: dredging of the river Guadalquivir, thousands of acres of illegal strawberry farms and paddy fields guzzling up the water and a proposed oil platform. And this is called the jewel of Spain’s national parks. Cockling is one of the few traditional activities permitted in Doñana National Park. This video of a mongoose (meloncillo) interacting with a wild boar in Doñaña is interesting. Found on Naturablog. 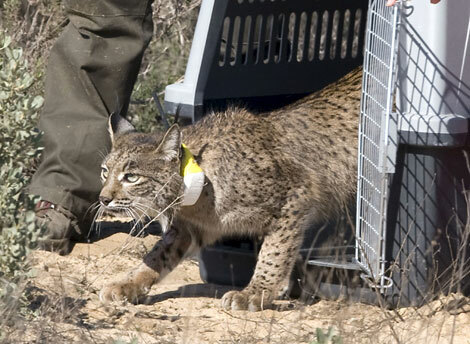 Caribú, the lynx from the Sierra Morena which was released in Doñana in November 2008 with the aim of increasing the genetic variability there, has travelled almost 200km in three months. There is no evidence that it has mated yet as it is a sub-adult.